With only 7.2 per cent of the total global population (over 550 million inhabitants in 2014), the region of North America, Central America and the Caribbean hosts about 25 per cent of all migrants in the world and experiences unique migratory flows.1 In 2013, some 53 million migrants resided in the United States and Canada (hereafter referred to collectively as North America, for practical purposes) and about 3 million in Mexico, Central America and the Caribbean. 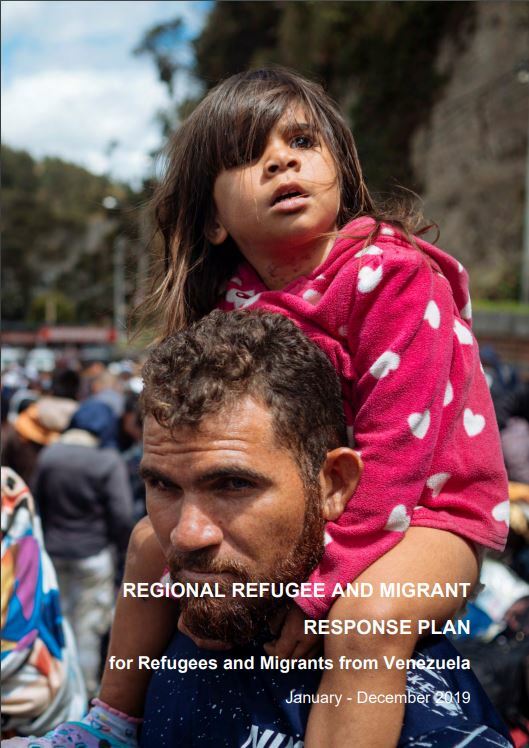 The region covered by the IOM San Jose Regional Office, in terms of migration, is frequently analyzed and studied as three distinct migration sub-regions, due to their distinctive contexts and particular migration issues. These sub-regions are: North America (as defined previously for practical purposes), Mesoamerica (defined as consisting of Mexico and Central America) and the Caribbean. For decades, North America has primarily constituted a sub-region of destination for migration flows rather than one of origin. Many of these flows originate from Mesoamerica, especially from Mexico. Meanwhile, Mesoamerica and the Caribbean are principally considered sub-regions of migrant origin and transit.Nevertheless, it must be recognized that the countries of each sub-region vary greatly in their degrees of prosperity, internal conflict, security, capacities of authorities to manage migration and vulnerability to natural disasters. Furthermore, the composition of migratory flows varies significantly among these countries. Consequently, the migration phenomenon is interpreted in diverse forms across the countries of each sub-region, as it poses particular opportunities and challenges to each one of them. Despite the differences among countries of the region, in all of them, migrants, in particular children, women, indigenous people, temporary workers and domestic workers, extra-continental migrants, LGBTI4 migrants, migrants with disabilities and migrants who were victims of crimes, present varying degrees of vulnerability. Specific migrant vulnerability becomes evident when available data is analyzed. For example, according to United States data, in 2007, 41 per cent of trafficking victims in that country were nationals of Latin America and the Caribbean. In the last decade, due mostly to the growing economic disparity, new poles of attraction have emerged in some of the developing countries of Mesoamerica and the Caribbean for migrants coming mostly from neighbouring developing countries (South-South migration). Among these, the most important are Mexico, Belize, El Salvador, Panama and Trinidad and Tobago. There is also an increase in the number of irregular migrants living in Mesoamerica and the Caribbean. This phenomenon is due to various factors, such as the increase in immigration flows, the porosity of borders, the complexity and high costs of the regularization processes, the lack of employers’ commitment to regularize their migrant workers, and governments’ limited capacity to enforce immigration laws. Similarly, in the last decade, an increase of irregular extra-continental migration flows has become evident, originating in developing Asian and African countries and transiting through Mesoamerican and the Caribbean. Another recent trend is the increase in the number of immigrants from developed countries who migrate to developing countries in the region (North-South migration). In Mesoamerica and the Caribbean the number of these North-South migrants reaches nearly 2 million, mostly made up of retirees, investors and the children and grand-children of Mesoamerican migrants born in the United States. Mexico hosts almost 1 million North-South migrants, the vast majority originating from the United States. In the last few years, there has been an increase in the number of migrants who have returned voluntarily or involuntarily to Mesoamerica and the Caribbean. This is primarily due to the current economic crises and intense deportation policies in countries of destination. The United States continues to be the main country of destination for migrants in the world. The number of African immigrants in the United States has more than doubled during the last 10 years, reaching about 2 million. Meanwhile, migration flows from developing Asian countries to the United States and Canada continue to increase steadily. Similarly, migration flows from most Central American and from many Caribbean countries to the United States have continued to rise steadily since 2011. A good portion of these flows are irregular. In fact, around 40 per cent of all irregular migrants in the United States, or an estimated 6 million, were born in either Central America or the Caribbean. A particularly alarming irregular migration trend, which has grown recently in the United States, is made up of immigrant children, especially unaccompanied, originating principally from Mesoamerica. On the other hand, the growth rate of migratory flows originating from Mexico to the United States has steadily decreased in comparison to the previous decade. Still, Mexico continues to be the principal country of origin for immigrants entering the United States and the principal migrant country of origin in the world. 4 Lesbian, gay, bisexual, transexual, transgender and intersexual people. 5 Clare Ribando Seelke, “Trafficking in Persons in Latin America & the Caribbean, Congressional Research Service, I (2013): 1–17.